Also on board as per Hermes Press release: “Marv Wolfman (The Tomb of Dracula, Blade), Daniel Herman (publisher of Hermes Press, Silver Age: The Second Generation of Comic Artists), and Mitch Itkowitz (owner of Graphic Collectibles, Jack Kirby Masterworks). Voice Actor Rob Paulsen (Animaniacs, Jimmy Neutron, TMNT, Biker Mice) is also tentatively slated to appear on the panel. Paulsen is also scheduled to sign prints of Biker Mice From Mars character “Throttle” at the Hermes Booth (1821) on Saturday, July 22 between 2:00-4:00 p.m..
Attendees will be treated to an short documentary about Wrightson’s career as well as never before seen animated work based on his designs. The panel is scheduled for Friday July 21, 2017 between 4:00 & 5:00 pm, in Room 32AB. The Hermes book will be available in a Limited Edition SDCC17 Variant for which a voucher can be purchased via their website. Be aware that the book must be picked up in person at the convention. The Standard Edition will be released on Sept 5, 2017 and can be pre-ordered. 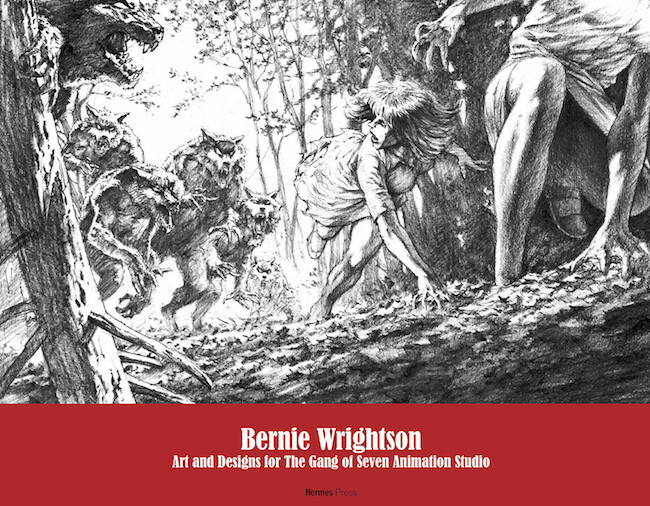 “Wrightson’s extensive design work for the Gang of Seven Animation Studio, while known, has never been documented until now with the creation of this new in-depth monograph that utilizes the archives of the studio. Marvel at concept drawings, model sheets, and hundreds of designs for projects including Biker Mice From Mars, The Juice, and Freak Show. 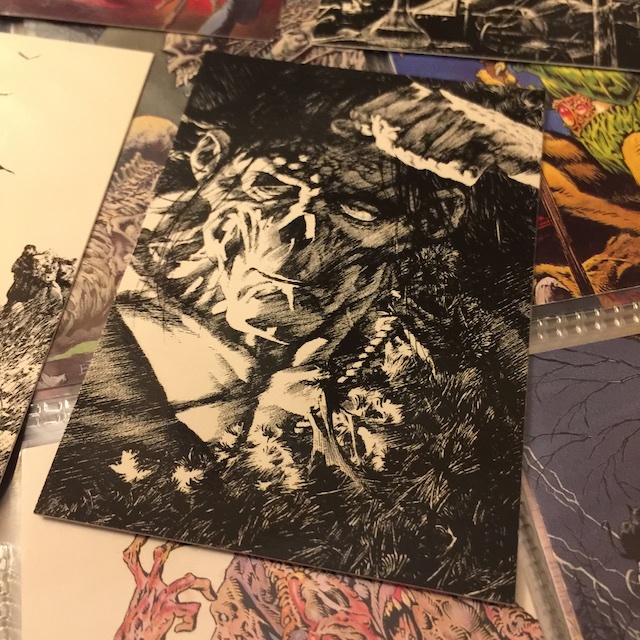 All of the artwork in this book has been scanned directly from the original artwork so fans can savior Wrightson’s genius up close and personal. 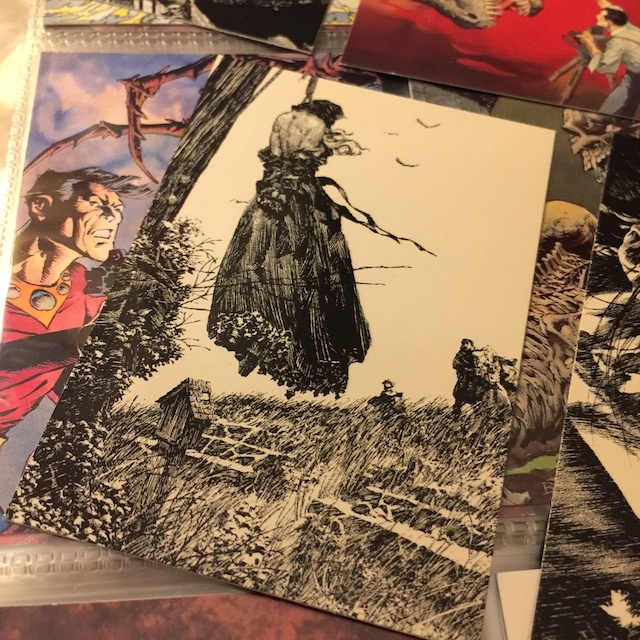 My first encounter with Wrightson’s artwork was via Web of Horror, a short-lived Creepy/Eerie style anthology magazine that first appeared on newsstands in 1969. “Berni’s” pen and ink panel work graced each issue, with his color painting of a gigantic yeti attacking a frozen campsite was the lure for issue #3. It has since been revealed that he would likely have illustrated the cover of issue 4 had it been published. Batman and Swampthing (a character he co-created) under Wrightson’s pen top my favorite renditions of those characters. 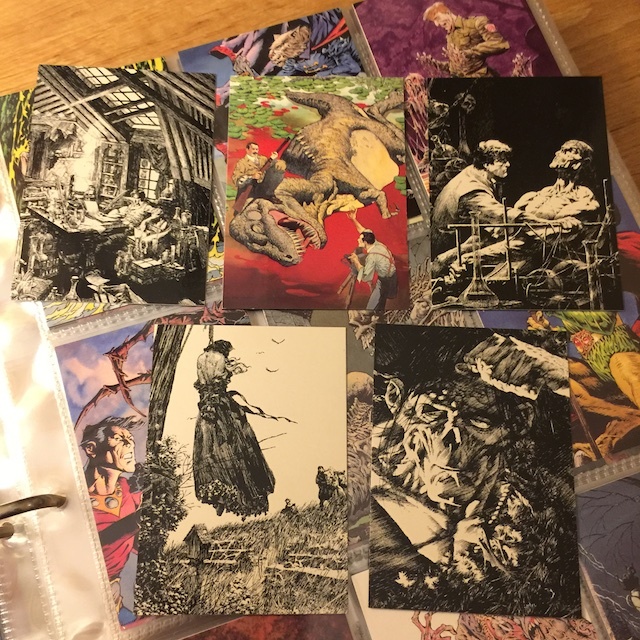 To my taste his magnum opus came early in his career with his illustrations for Mary Shelley’s Frankenstein. His stark line work perfectly embodied a sinewy creature pulled together from stray body parts. This work led me to the discovery and appreciation of Wrightson’s artistic progenitor’s like Joseph Clement Coll and Harry Clarke. 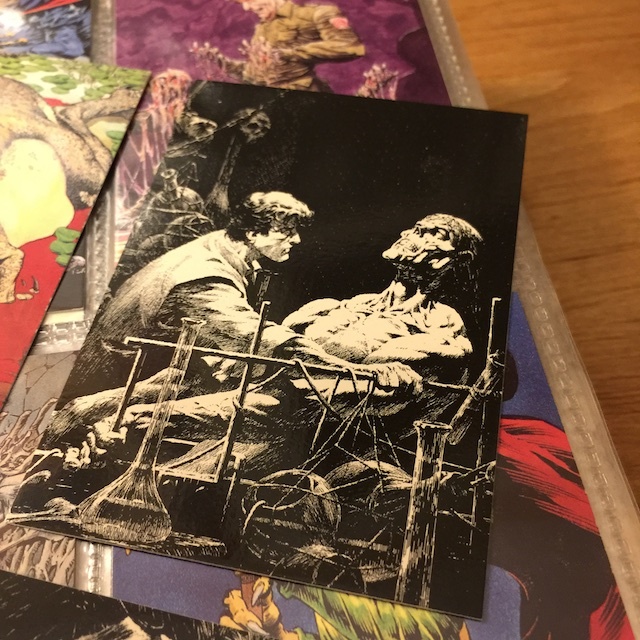 One of my prized collectibles is a set of Wrightson “non-sports” cards, which includes a subset of the “Frankenstein” pieces. 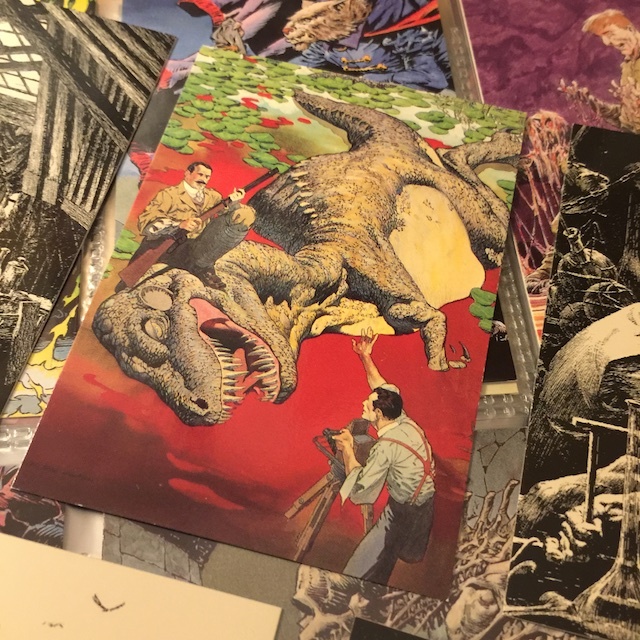 Bernie’s family continues to maintain his website which is filled with galleries of his work and a thorough biographical overview of his life.